Marking John Galliano's first major endeavor since he was dismissed from Dior and his eponymous brand in March 2011 (that is, if you don't consider his internship at Oscar de la Renta 'major'), the designer is set to costume Stephen Fry's British stage production of Oscar Wilde's The Importance of Being Earnest. No matter what you think of Galliano, who has made a solid case for his rehabilitation in press outlets like Vanity Fair and The Charlie Rose show, there's no question that the designer is well suited for the project. Galliano has a biting sense of drama and dandy-ish, even Wildean, personal style. Vogue UK notes that the designer costumed Lady Bracknell (played by Judi Dench) for the 1982 production at the National Theatre. 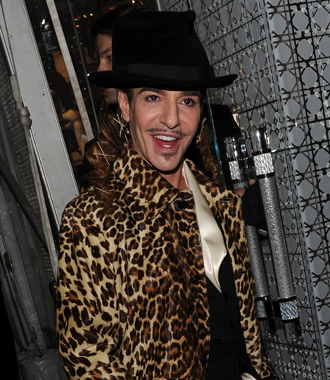 Galliano is reportedly already at work.